You are currently viewing Archived reports for the week of 30 September-6 October 2009. Based on information from JMA and pilot observations, the Tokyo VAAC reported that explosions from Sakura-jima during 30 September-6 October produced plumes that rose to altitudes of 1.8-4.3 km (6,000-14,000 ft) a.s.l. 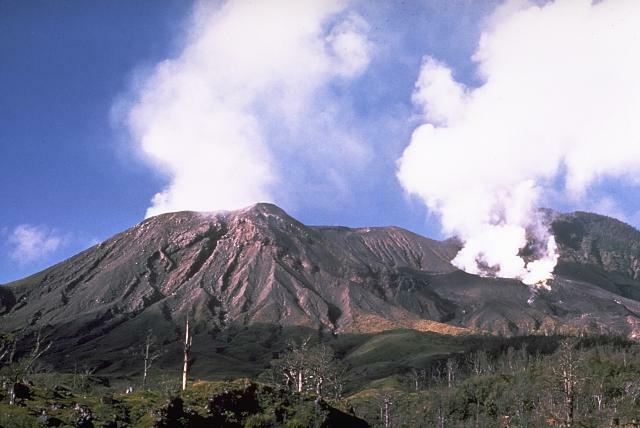 Plumes occasionally drifted E, N, and W.
The JMA reported that explosions from Showa crater on 2 October ejected incandescent tephra 800 m away from the rim. On 3 October, Minami-dake crater exploded violently, producing an ash plume that rose 3 km above the crater. Ballistics were ejected 1.7 km away. 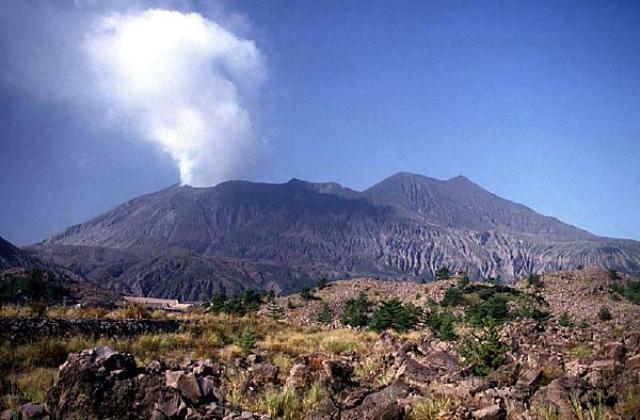 The most recent previous explosion from the Minami-dake crater occurred on 22 February. 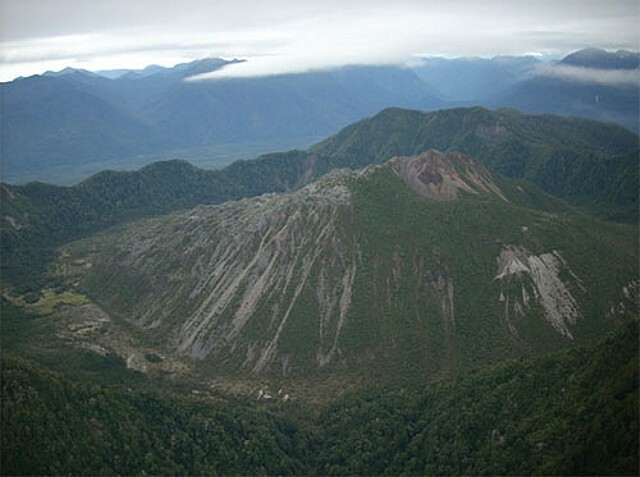 During 16-30 September, SERNAGEOMIN reported that Chaitén's Domo Nuevo 1 (Phase I) and Domo Nuevo 2 (Phase II) lava-dome complex continued to grow, generating block-and-ash flows from the collapse of unstable slopes. Gas plumes continued to rise from the complex and were visible using the web camera, S of the volcano. On 29 September, people living in Chaitén town, 10 km SW, noticed that the eruption column was larger. A dark area in the plume seen on the web camera was interpreted to possibly be from collapse of part of the lava dome to the SW. Scientists conducted an overflight and saw a third lava dome (Phase III) in the SW area of the complex, which had filled up a depression left by a collapse on 19 February. 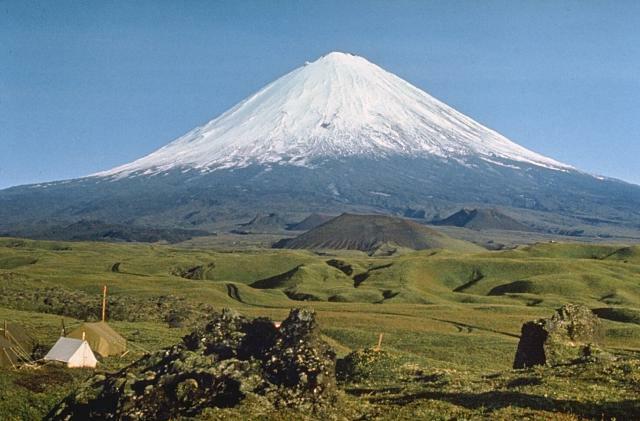 They also noted a NNW-trending depression along the center of the lava domes with spines at the N end, and that the central spine complex had disappeared. 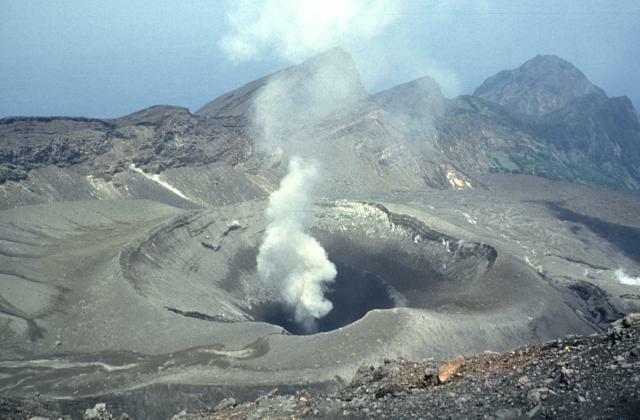 Ash-and-gas plumes that occasionally rose 2 km above the lava domes had two sources: one from the new dome and one from the central depression. Several parts of the depressions circling the lava domes had been filled in by collapsed material, and the depositional area near the mouth of the Blanco River had also grown. Based on web camera views, SIGMET notices, and analyses of satellite imagery, the Buenos Aires VAAC reported that on 30 September and 3 October diffuse ash plumes, possibly mixed with steam and gas, rose to an altitude of 2.4 km (8,000 ft) a.s.l. and drifted as far away as 55 km SE. 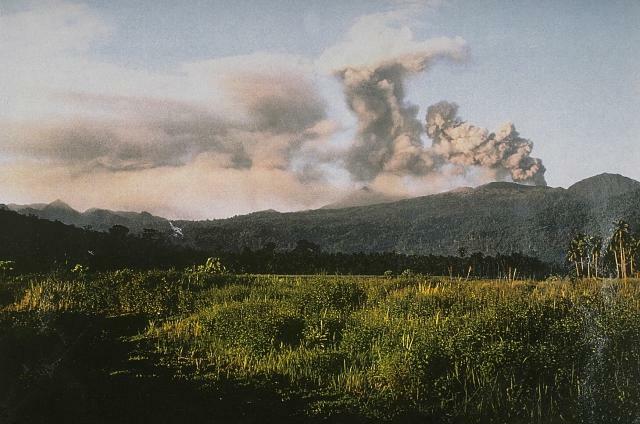 A small explosive eruption of Cleveland on 2 October prompted AVO to raise the Volcano Alert Level to Watch and the Aviation Color Code to Orange. 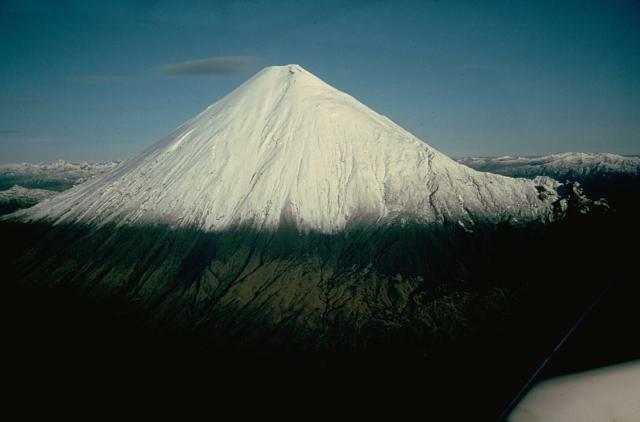 A detached ash cloud at estimated altitudes of 4.6-6.1 km (15,000-20,000 ft) a.s.l. was seen on satellite imagery; the cloud drifted about 600 km NE and dispersed over the Bering Sea. No further activity was reported. On 5 October, the Volcano Alert Level was lowered to Advisory and the Aviation Color Code was lowered to Yellow. No seismic information was available because Cleveland does not have a real-time seismic network. An explosive eruption from Galeras on 30 September prompted INGEOMINAS to raise the Alert Level to I (Red; "imminent eruption or in progress"). National Park personnel reported two explosions and incandescent material ejected from the area of the active cone. An ash plume rose to an approximate altitude of 12.3 km (40,400 ft) a.s.l. and drifted E, then N. The sulfur dioxide emission rate was between 1,100 and 9,300 tons per day. 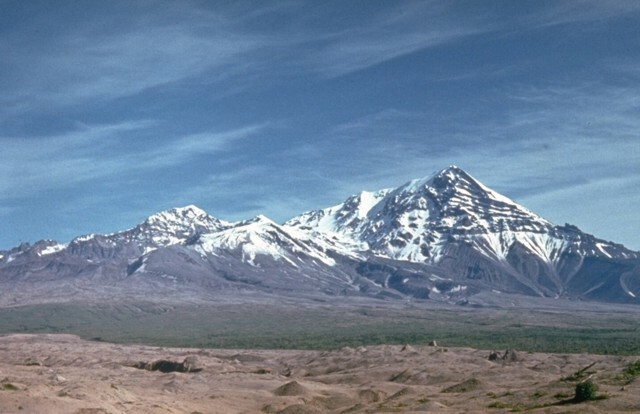 Ash was deposited in Sandoná (15 km NW), and Ancuya, Linares, and Sotomayor (40 km NW). Seismicity decreased after the eruption. On 1 October, seismicity was low and the sulfur dioxide emission rate was 300 tons per day. The Alert Level was lowered to II (Orange; "probable eruption in term of days or weeks"), and then to III (Yellow; "changes in the behavior of volcanic activity") on 6 October. 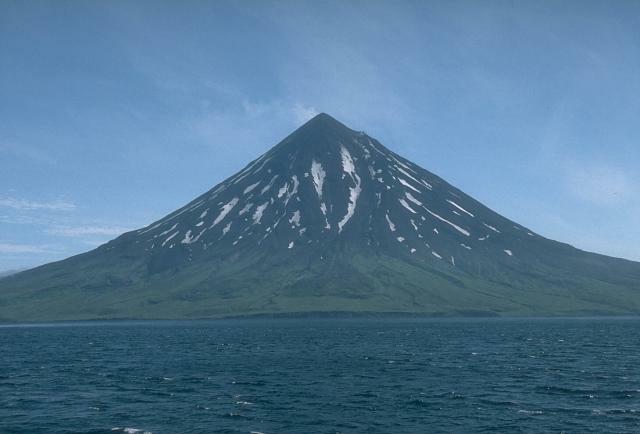 KVERT reported that seismic activity at Karymsky was elevated above background levels during 25 September-2 October and possibly indicated weak ash explosions. 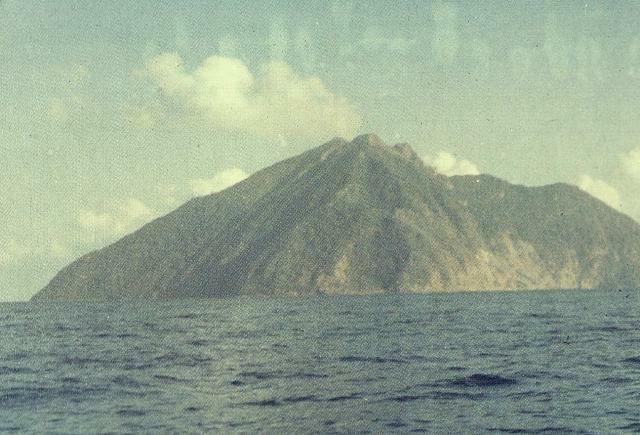 Analyses of satellite imagery revealed a weak thermal anomaly over the lava dome on 28 September; cloud cover prevented observations on the other days. Scientists saw fumarolic activity during an overflight on 1 October. The Level of Aviation Color Code remained at Orange. KVERT reported that during 25 September-2 October seismic activity from Kliuchevskoi was slightly above background levels and weak tremor was detected. Satellite imagery revealed a weak thermal anomaly over the volcano. 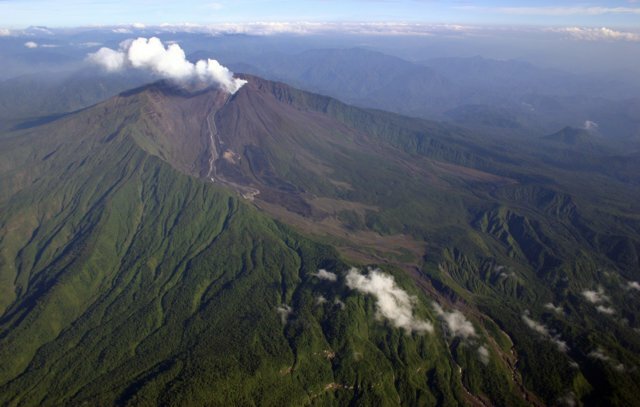 Strombolian activity ejected tephra 70-100 m above the crater during 28-30 September. The Level of Aviation Color Code remained at Yellow. KVERT reported that during 25 September-2 October seismic activity from Shiveluch was above background levels. 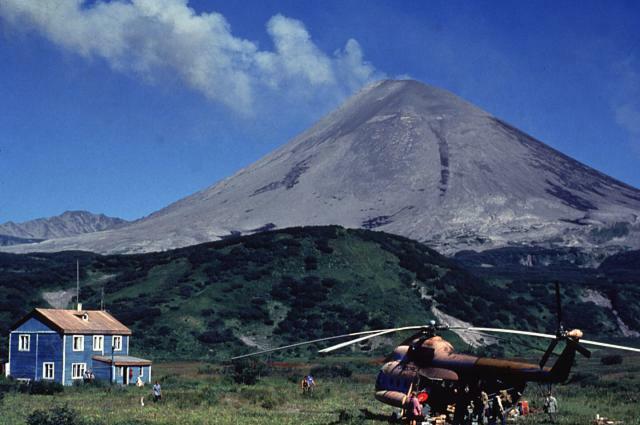 Analyses of satellite imagery revealed a large daily thermal anomaly over the lava dome. Fumarolic activity was occasionally seen. 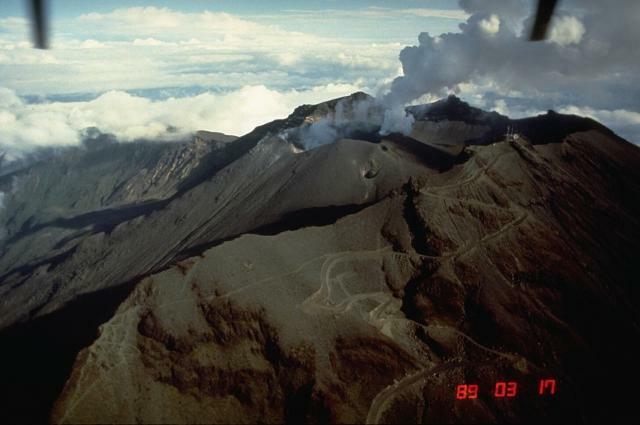 Based on interpretations of seismic data, ash plumes possibly rose to an altitude of 7 km (23,000 ft) a.s.l. on 27 September and to an altitude of 4.5 km (14,800 ft) a.s.l. on other days. According to video camera data and visual observations, ash plumes rose to an altitude of 4 km (13,100 ft) a.s.l. on 28 September. An ash plume was seen on satellite imagery drifting 65 km ESE on 29 September. The Level of Aviation Color Code remained at Orange. 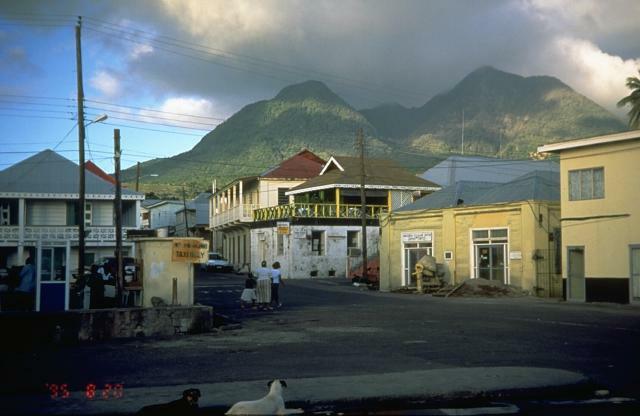 MVO reported that a short volcano-tectonic earthquake swarm from Soufrière Hills lava dome was detected at 2100 on 4 October. A period of tremor and vigorous ash venting followed about an hour later. The resulting ash plume drifted WNW across the island and out to sea, causing ashfall in Old Towne and Olveston. The seismic signals indicated no explosive activity or pyroclastic flows, but only two rockfalls after the ash-venting event. During midnight to 0600 on 5 October, intermittent ash venting produced ash plumes that drifted WNW. Two more "ash venting" events occurred at 1035 and 1325, without precursory seismicity, producing ash plumes that rose to altitudes of 3-4.6 km (10,000-15,000 ft) a.s.l. Ash fell S of inhabited areas. Based on information from MVO and analyses of satellite imagery, the Washington VAAC reported that on 6 October several ash clouds rose to altitudes of 3.7-5.5 km (12,000-18,000 ft) a.s.l. and drifted W.
Based on analyses of satellite imagery, the Darwin VAAC reported that during 30 September-3 October and 5-6 October ash plumes from Batu Tara rose to an altitude of 2.4 km (8,000 ft) a.s.l. and drifted 25-75 km W, NW, and N.
Based on analyses of satellite imagery, the Darwin VAAC reported that on 2 October an ash plume from Dukono rose to an altitude of 2.7 km (9,000 ft) a.s.l. and drifted 75 km NE. On 6 October, an ash plume rose to an altitude of 3 km (10,000 ft) a.s.l. and drifted 55 km NE. During 30 September-6 October, HVO reported that lava flowed SE from underneath Kilauea's Thanksgiving Eve Breakout (TEB) and rootless shield complex through a lava tube system, reaching the Waikupanaha ocean entry. Thermal anomalies detected in satellite images revealed active surface lava flows on top of the pali. The vent in Halema'uma'u crater continued to produce a diffuse white plume that drifted SW. Small amounts of occasional fresh ash were retrieved from collection bins placed near the plume. During 30 September and 2, 4, and 5 October, a lava pond within the vent, about 200 m below the Halema'uma'u crater floor, rose and fell, circulated, and weakly spattered. Preliminary measurements indicated that the sulfur dioxide emission rate at the summit remained elevated; 410, 650, and 480 tonnes per day were measured on 30 September, 1 and 2 October, respectively. The 2003-2007 average rate was 140 tonnes per day. Based on analyses of satellite imagery, the Darwin VAAC reported that on 30 September an ash plume from Langila drifted 260 km NW at an altitude of 4.3 km (14,000 ft) a.s.l. On 5 October, a diffuse ash plume rose to an altitude of 3 km (10,000 ft) a.s.l. 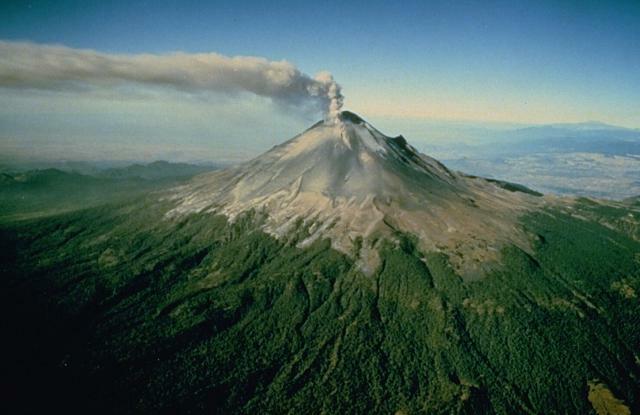 and drifted 185 km N.
CENAPRED reported that during 3-6 October emissions of steam and gas from Popocatépetl contained slight amounts of ash. 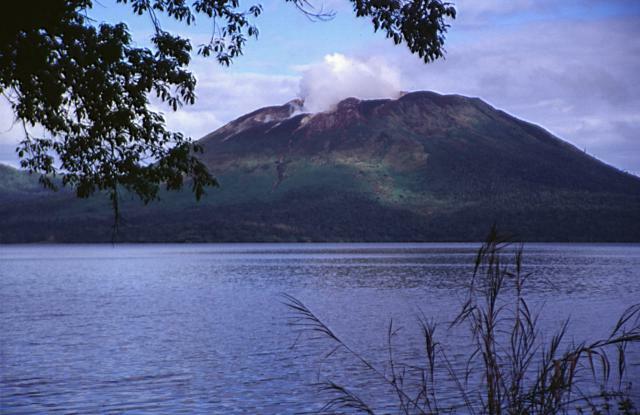 RVO reported that during 25 September-1 October gray ash plumes from Rabaul caldera's Tavurvur cone rose 2 km above the crater. 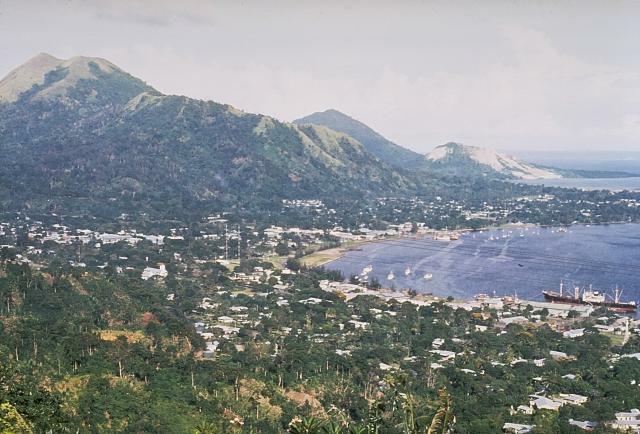 Ashfall was reported in Rabaul town (3-5 km NW) and surrounding areas. 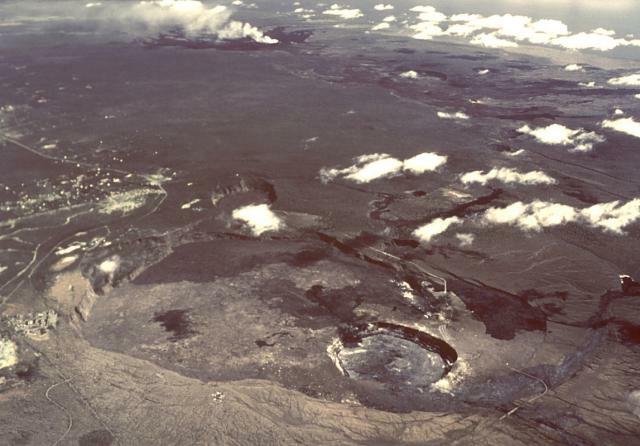 Occasionally, incandescence from the summit crater was seen at night and incandescent lava fragments were ejected from the crater. Based on analyses of satellite imagery, the Darwin VAAC reported that on 6 October an ash plume rose to an altitude of 3 km (10,000 ft) a.s.l. and drifted 55 km NW. Based on information from IG, the Washington VAAC reported that on 4 October an ash plume from Reventador drifted W. Ash was not seen in satellite imagery, although meteorological clouds were present. An occasional thermal anomaly was seen, however. The Washington VAAC reported that on 4 October a pilot saw an ash plume from Sangay drifting W at altitudes of 5.2-7.6 km (17,000-25,000 ft) a.s.l. Meteorological clouds prevented satellite views of the area. No additional reports of the ash plume were received by the VAAC. Based on information from JMA, the Tokyo VAAC reported explosions from Suwanose-jima on 1 October. A plume rose to an altitude of 1.5 km (5,000 ft) a.s.l. and rifted W.